While Senate Republicans may as well have embarked on a suicide mission after this week's health care debacle, House conservatives are doing all they can to salvage the party's reputation. And that starts, Majority Leader Kevin McCarthy (R-Calif.) announced, with life. EWTN's Jason Calvi broke the news on Twitter that the California conservative intends to hold a vote on the Pain-Capable Unborn Child Protection Act as early as next week -- giving deflated pro-lifers something to cheer about after the Senate's failure to defund Planned Parenthood. "House @GOPLeader announces chamber will vote on 20-week abortion ban (##theyfeelpain bill) on Oct 3." House conservatives have made a habit of passing the popular legislation, only to watch it die at the hands of the Senate's 60-vote threshold. As pro-life members have argued in Congress, there are only seven countries in the world (including China and North Korea) that allow the killing of unborn children at or beyond five months in utero. At this point in pregnancy, the most common method of abortion is dismemberment, which tears a baby apart, piece by painful piece. "More than 18,000 'very late term' abortions are performed every year on perfectly healthy unborn babies in America," Rep. Trent Franks (R-Ariz.) points out. "These are innocent and defenseless children who can not only feel pain, but who can survive outside of the womb in most cases, and who are torturously killed without even basic anesthesia." Of course, liberals like to argue that the bill is extreme -- but what's actually extreme is our current law. As conservatives have argued, it's common practice for doctors to use anesthesia on babies 20 weeks along for in-utero surgeries because they can feel pain. What kind of inhumane culture gives "wanted" babies anesthesia but tortures others? Sadly, ours. For a country blessed with such incredible prenatal technology, it's mind-blowing that we haven't changed our laws to reflect the basic personhood of these tiny humans. 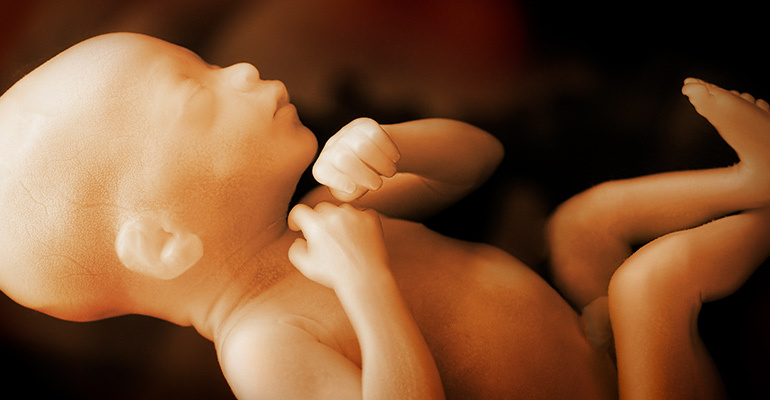 Science has expanded our knowledge of unborn pain, and it's time for the law to catch up. And while the U.S. House has done its part in trying to end this inhumane legacy, they haven't had the benefit of a pro-life president. Now, thankfully, they do. We applaud the House for seizing the moment and taking an important step in bringing American policy in line with American values on life.